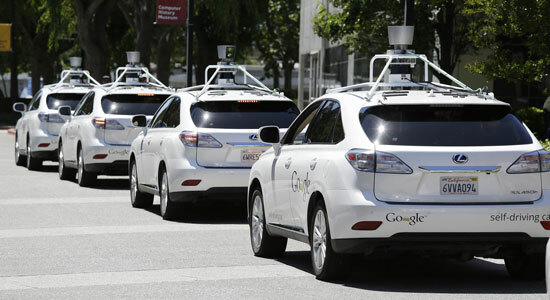 Google's self-driving car is a hit – in more ways than one. Google recently published data stating that their self-driving cars have been involved in 14 accidents since they were first introduced in 2009. These cars are driving almost 10,000 miles a week, and none of those 14 accidents were the fault of the self-driving cars. The data collected from the self-driving cars has illuminated some interesting points, according to Google. They believe that driver distraction led to many of these accidents, considering that 11 of the 14 collisions were rear-end accidents. Google's self-driving car uses an onboard computer to collect information from its surroundings. It records the environment, car positions, and other relevant data leading up to each crash. This new information has led them to believe that the accidents-per-miles-driven might actually be higher than originally thought. As companies continue to test new driverless technology, they will have access to data like never before. Being able to capture minor collisions – accidents that might have gone unreported – will offer clear data regarding the actual number of accidents that occur each year. Every bit of new data will help to understand why accidents happen. Which, in turn, could be the first step to preventing them altogether. By understanding the most common types of accidents, car manufacturers can take steps to make our cars safer in the future. Self-driving cars offer many interesting possibilities for the future. Imagine roadways that are complete devoid of accidents. Beyond the potential safety benefits, the prospect of having cars able to communicate with each other would change the face of driving entirely. We always imagine what it would be like to read the minds of those driving around you. Now your car's computer would be able to. Your car would "speak" electronically with the cars nearby. Changing lanes, merging at road construction, exiting highways, and much more would become extremely efficient and ultimately much safer. By removing the space for human error, these traffic maneuvers would become second nature to a self-driving car. Moreover, as accidents decrease and traffic efficiency increases, you'd spend less time commuting, which means less gas and fewer emissions. Eliminate accidents, and you'll eliminate possible bottlenecks and traffic jams. No more waiting on the expressways. With less time spent in traffic and the ability to focus on activities other than piloting the car, the driver would be able to spend his or her driving time in many different ways. You could catch up on the latest episodes of Game of Thrones, compose that important work email, shave your stubble without putting everyone else in danger – the possibilities are endless. Most Americans will drive over a million miles in their lifetimes. With a culture that's so entrenched in driving, making the transition from driver to driverless could prove difficult. However, we're already seeing car companies integrating driverless features into their newer models. In fact, some luxury and top-of-the-line models already feature parking assist, lane departure warnings, adaptive cruise control, and more. It's only a matter of time before these features are offered on standard, base-model vehicles. Ultimately, driverless functions will become the norm. Until driverless cars eliminate the majority of accidents, there is always going to be a risk when you get behind the wheel. Unfortunately, drivers will continue to practice unsafe driving habits that put other vehicles at risk. If you're hurt in an auto accident, you can get a free legal consultation now. We're standing by 24/7 to help. Call us any time.